The following article is reprinted here in its entirety with permission of AlterNet and the author. It was written by Mark Howard is an artist and author and the publisher of News Corpse, the Internet's Chronicle of Media Decay. “Tea parties believe in small government. We believe in returning to the principles of our Founding Fathers. We respect them. We revere them. Shoot me in the head before I stop talking about the Founders. Shoot me in the head if you try to change our government. That’s right, Byron understands what Beck is doing, and so do I. A new poll by Public Policy Polling reports that 13 percent of Tea Partiers say the that violence against the current American government is justifiable. While that may sound like a small percentage, there are two things to keep in mind: 1) It’s more than three times the percentage of non-Tea Partiers who say violence is justifiable. And 2) It only takes one lone nut to wreak havoc. One lone nut like Byron Williams or, perhaps, Jared Loughner, as we learned in Tucson a week ago. 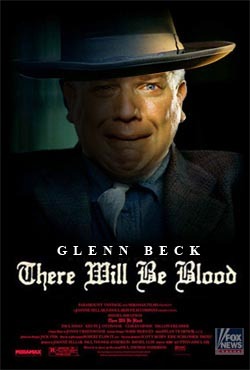 In addition to his hostile streak, Beck also has demonstrated a flagrant prejudice against blacks and Jews. I previously noted that a rather large proportion of Beck’s targets are black, beginning, of course, with Barack Obama. 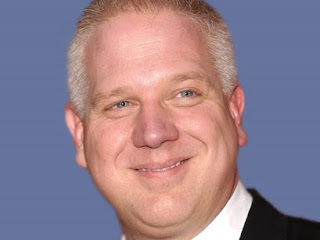 Media Matters recently made note of Beck’s program on “The Big Lie” wherein Beck cited nine individuals whom he implicated in a tyrannical plot to control the minds of Americans in order to advance a socialist agenda. Was it just a coincidence that eight of them were Jewish? You can go to Glenn Beck Unhinged and click on “Take Action” for a list of organizations that are working to hold the media accountable. Then pass the links around to spread the word [or share this URL: sharethisurlaboutglennbeck.com]. Eric Fuller, a victim of the Tucson shooting, was arrested and involuntarily committed to a mental facility for psychiatric examination. This occurred after he attended a town hall meeting and said “You’re dead,” to a Tea Party leader while snapping his picture. That’s it. Just words. He had no weapon and made no threatening gestures or movements toward anyone. If that warrants arrest and commitment then why isn’t Beck undergoing a similar examination after explicitly advising his viewers to shoot their political adversaries in the head?